When you are planning on moving your office, it’s impossible to know of every single thing that might arise, but you can make your future relocation go as smoothly as possible if you include smart budgeting. It’s easiest to budget when you have a line-item template to use. It will keep your costs all in one place, where they are easy to access and simple to read. As you plan your office relocation, you’ll want your budget to be accessible because you will consult it often. Get quotes from different moving companies and add the HIGHEST one to your budget. This cost includes special transportation (such as trucks with controlled temperatures for transporting sensitive material), certificate of insurance if the building management requires them, moving over a holiday or expediting moves to accommodate a tight schedule. If your current office has repairs that still need to be taken care of, check your lease to see who covers the costs, whether it’s the tenant or the landlord. If those repairs are your responsibility, add the estimated cost to your budget. If some of your staff will be putting in extra time to help with the move, add their overtime to your budget. If you are plan to create new marketing materials to let your customers know about your COMMERCIAL MOVE include those costs on your budget. Therefore, if you are terminating your current lease early in order to accommodate your scheduled move, add that fee to your budget. By closely examining your budget beforehand, your stress will be less as you prepare to relocate to your NEW office. If you’ve planned realistically, your move will feel more like undertaking another business venture rather than facing the unknown without a clue. Office moving can be a difficult and tiring task. Thankfully hiring a moving service company such as All Around Moving, with experienced movers can make your move so much easier. To make your office moving day easy and smooth let All Around Moving Services Company, Inc. plan your next move! 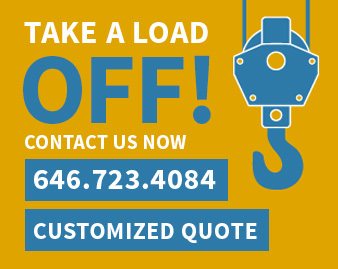 Give us a call for more information: 212-781-4118 or visit us at https://www.allaroundmoving.com/ and Take A Load Off! !